National Centre for Disease Control is an institute under the Indian Directorate General of Health Services, Ministry of Health and Family Welfare. Dy. Director: Applicants who have completed Bachelor’s degree with MBA (2-years’ full time/3-years’ part-time) with specialization in Finance or Post Graduation in Commerce or Chartered Accountant/ Cost Accountant or equivalent from a recognized Institute for NCDC Recruitment 2018. Assistant Director (General): Applicants who have completed Bachelor’s degree with MBA/(2-years’ full time/3-years’ part-time) with specialization in Finance/ Marketing or Post-Graduation in Economics/ Commerce/ Statistics/ Agribusiness/Rural Management/ Cooperative Management/ Banking/Insurance, or Chartered Accountant/ Cost Accountant or equivalent from a recognized Institute for NCDC Recruitment 2018. Programme Officer (General): Applicants who have completed Degree of a recognized University with not less than 50% marks (relaxable up to 45% in the case of SC/ST) or equivalent from a recognized Institute for NCDC Recruitment 2018. Senior Assistant (General): Applicants who have completed Degree of a recognized University with not less than 50% marks (relaxable up to 45% in the case of SC/ST) or equivalent from a recognized Institute for NCDC Recruitment 2018. Senior Personal Assistant (General): Applicants who have completed Degree of a recognized University. Speed in English Shorthand of 120 w.p.m and speed in English typing 40 w.p.m or equivalent from a recognized Institute for NCDC Recruitment 2018. Personal Assistant (General): Applicants who have completed Degree of a recognized University. Speed in Shorthand of 80 w.p.m and speed in typing 40 w.p.m. or equivalent from a recognized Institute for NCDC Recruitment 2018. Junior Assistant (General): Applicants who have completed Degree of a recognized University with knowledge of computers or equivalent from a recognized Institute for NCDC Recruitment 2018. 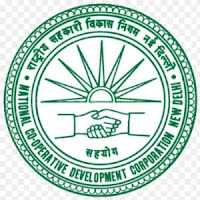 Eligible & Interested candidates can apply via online in Official website page at www.ncdc.in NCDC Recruitment 2018. Complete the NCDC Jobs Application Form with the essential data. Take a print out of NCDC Recruitment 2018 online application form.